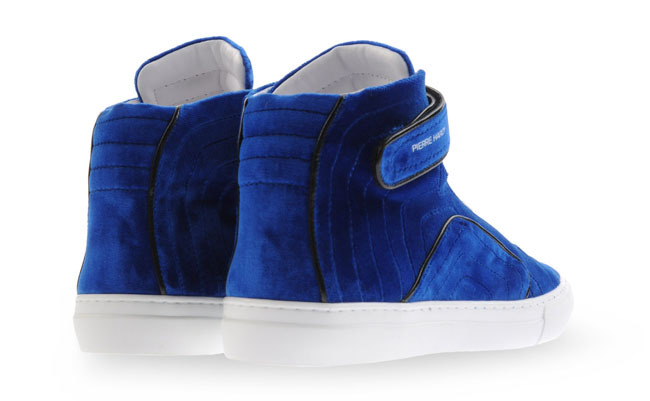 New from Pierre Hardy's Fall/Winter 2012 collection is their signature high-top in a bright blue velvet colorway. 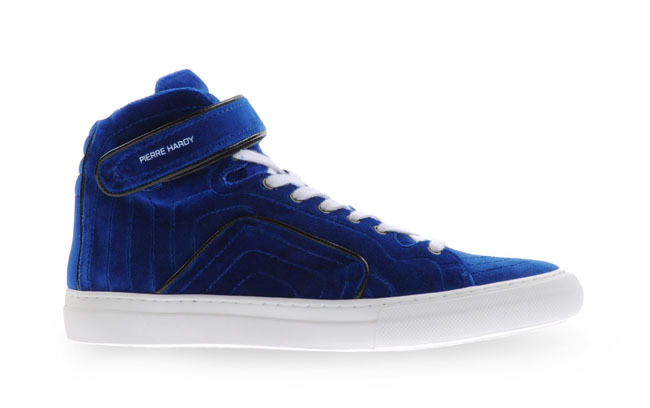 New from Pierre Hardy's Fall/Winter 2012 collection is their signature high-top in a bright blue velvet colorway. 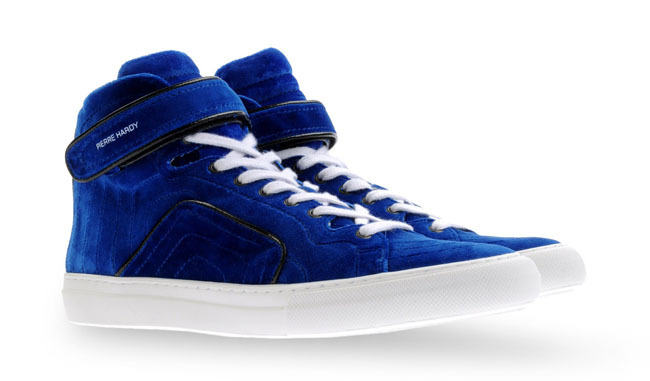 Features include leather lining, and leather piping details throughout the upper. This sneaker is available now at thecorner.com and retails for $490.